Mercedes team principal Toto Wolff says he was left heartbroken after making the order for Valtteri Bottas to give up victory at the Russian Grand Prix in order to help Lewis Hamilton's title charge. Bottas ended 2018 without a race win to his name, partly as a result of Wolff's decision. Hamilton entered Sochi with a 40-point advantage over title rival Sebastian Vettel, which was extended to 50 point by the chequered flag thanks to the Silver Arrows' orchestrated one-two finish. 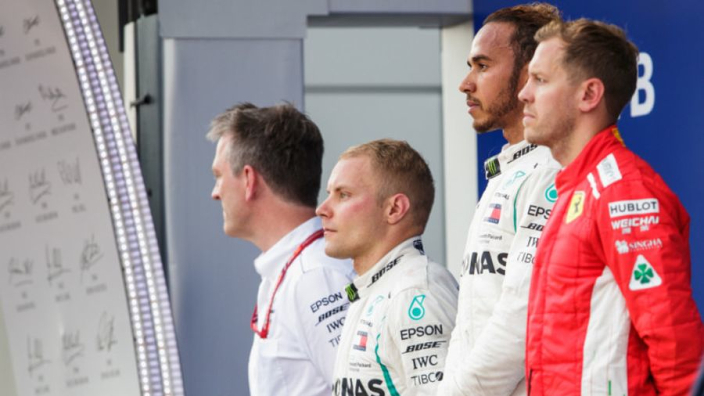 Bottas had led the race from pole before he was ordered aside, but Wolff said he was not willing to risk Hamilton losing ground in the championship. "It was Valtteri's race to win and in order to collect right points for Lewis, we switched the order. "When Valtteri moved aside, it broke my heart and I felt for him because I felt really terrible about it. But this sport can be cruel sometimes and this was one of those moments." Looking back to the incident, Bottas said he would accept the orders again if they arose in similar circumstances. He said: "It was tough to accept, but at that point – with those circumstances, with the points and everything. I'm a team player, I took one for the team and I'd take one for the team tomorrow."